We drink enough coffee that it has gotten to the point that more of our clothes have stains on them than don’t. But enterprising designer and DIY-er Paige Russell proved that’s not always a bad thing. 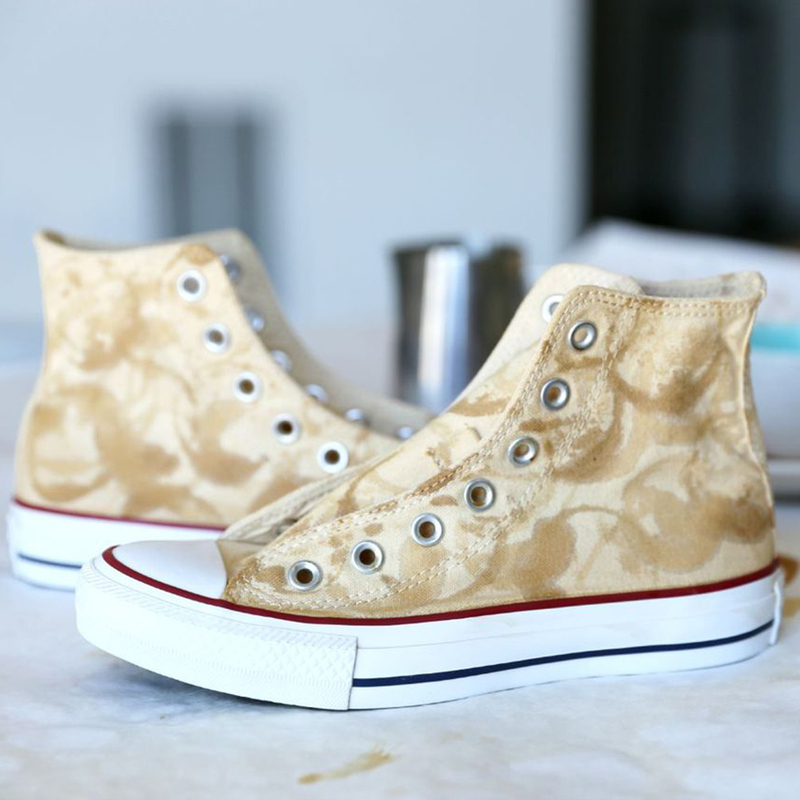 She decided to use coffee’s propensity for staining clothes for a good cause, making a pair of fashionable (and apparently wonderful-smelling) Chuck Taylor’s. Russell also uses coffee cups to make a cool stamp pattern on a different pair. You can find full instructions here and more of Russell’s design work at PaigeRussell.com.